Australia’s two southeastern states — New South Wales and Victoria — are very popular among travelers. The coastal stretch from the West of Melbourne to Byron Bay is particularly well-traveled, owing to its vibrant cities, small coastal towns, snorkeling and diving opportunities, and breathtaking scenery. It’s also a great spot for nature lovers, as it’s home to kangaroos, koalas, cockatoos, dolphins and whales. The latter can often be seen from the south coast, especially during the humpback whale season (September to December). 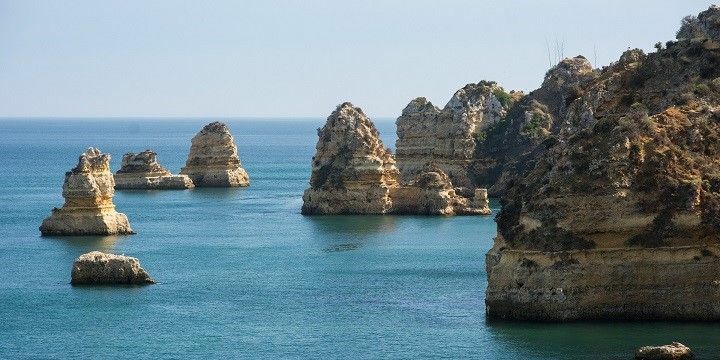 Start your road trip just west of Melbourne, along one of the most popular coastal routes in the world, the Great Ocean Road from Torquay to Allansford (Victoria). Many operators offer day trips from Melbourne; however, the 243-kilometer-long route is best explored over a couple of days. The Twelve Apostles are located along the Great Ocean Road. 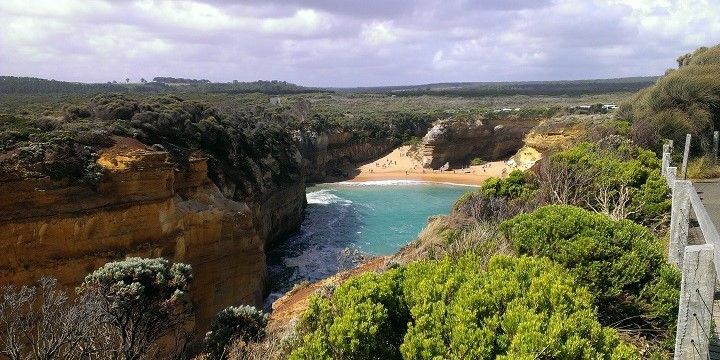 The best-known attractions are located in the Port Campbell National Park, which is home to beautiful gorges, beaches, and cliff top walks. Be sure to stop at the Twelve Apostles — these massive limestone rocks (of which only eight still exist) reach heights of up to 50 meters high — walk down the Gibson Steps, and explore unique rock formations, such as the Loch Ard Gorge, London Arch, and The Grotto. Loch Ard Gorge is another popular stop on the Great Ocean Road. Although Otway Forest Park will lead you away from the coast, the impressive forest is worth a visit for its stunning waterfalls. Then head eastwards to experience Melbourne’s ornate architecture, beautiful botanical gardens, and more beaches! On your way from Melbourne (Victoria) to Sydney (New South Wales), you’ll pass some fantastic coastal parks, such as the Gippsland Lakes Coastal Park, Australia’s biggest inland waterway. This is best explored by boat to come face to face with dolphins, pelicans, and black swans. Alternative spots of natural beauty include Cape Conran Coastal Park, with dunes and heathland, Croajingolong National Park, which is home to eucalyptus and rainforests, and Ben Boyd National Park, which is great for whale watching! If you have time, head inland to see Canberra, Australia’s often overlooked capital, the Alpine National Park, and Kosciuzko National Park. The first park is home to a number of ski resorts, such as Mount Buller, which is the largest in the southern hemisphere. In the latter, you’ll find Australia’s highest mountain, Mount Kosciuszko (2,228m). The peak is part of the Snowy Mountains, which are perfect for skiing, hiking, biking, camping, and canoeing. Sydney, which is often mistaken for the capital, has a lot to offer, including world-class beaches, and impressive architecture, such as the Sydney Opera House and Sydney Harbor Bridge. The road from this vibrant city to Byron Bay is dotted with quaint coastal towns, including Newcastle, north of which the deserted beaches of Worimi National Park begin, and Hunter Valley, a world-class wine region. Byron Bay itself is a popular backpacker hotspot, which is famous for its beautiful beaches and vibrant nightlife. Just a short walk from the town, you’ll reach the Most Easterly Point of the Australian Mainland, marked by a picturesque lighthouse. 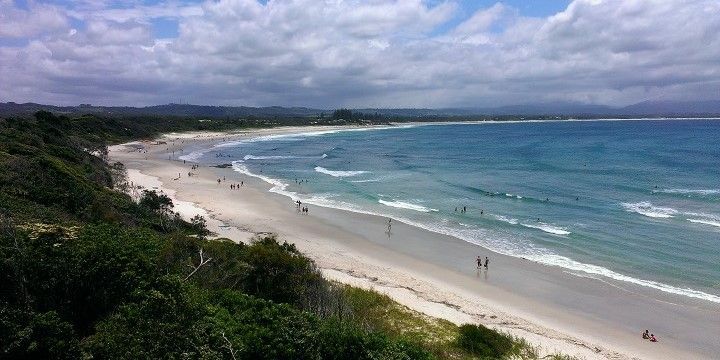 Byron Bay is very popular among backpackers. The world’s largest subtropical rainforests, the Gondwana Rainforests of Australia, cover parts of Queensland and New South Wales, and are home to steep gorges and crashing waterfalls. The New South Wales section of the forests includes more than ten national parks, such as Barrington Tops National Park, Gibraltar Range National Park, and Border Ranges National Park, which is located on the Queensland border. Australia is the best place to go for a holiday. They have the most stunning beaches, plenty of things to do in the cities and there are so many things to see. I did the Great Ocean Road, and stayed in Sydney, Melbourne, and Byron Bay. Melbourne was my favorite city in the area, maybe because it's slightly less busy than Sydney. The Blue Mountains are a great day trip!